Are you looking for a comfortable sleeper sofa? Visit a My Rooms Furniture Gallery furniture store in Augusta, Savannah, Columbia, Charleston, or online to purchase the best sofabed you've ever seen! 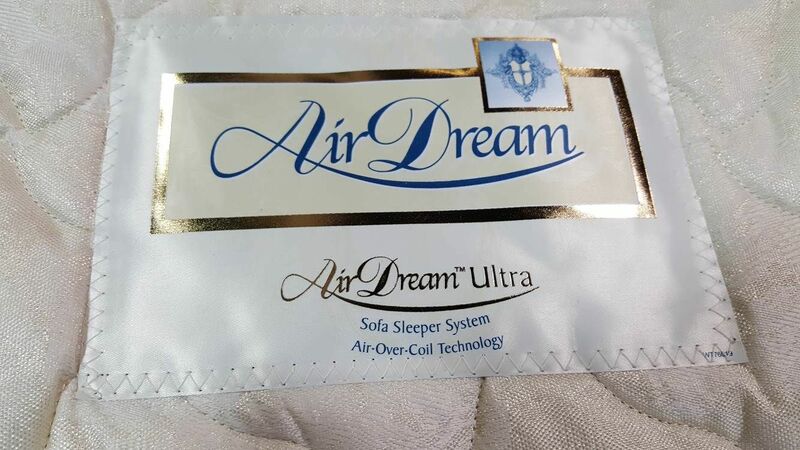 Unlike the typical sofabed mattress that's 4 inches thick, our AirDream mattress is 11 inches thick - you won't feel the sleeper support bars! Our sleeper sofa offers a hand control that allows you to adjust the "firmness" of the mattress to your ideal preference. This American-Made sofabed is made of hypoallergenic materials, and offers sleep that rivals most high-end standard mattresses. Offer your guests a great night's sleep with the Aria sleeper by Bauhaus Furniture. We offer this beautiful sleeper sofa by default in Ocala Indigo (a steel blue color), but customers can choose from a wide variety of fabrics and pillow options to customize this sofabed to match their homes and style preferences.